It’s Time to Talk. Too many people with mental health problems are made to feel isolated, worthless and ashamed. Time to Talk Day is a chance for all of us to be more open about mental health – to talk, to listen, to change lives. Wherever you are – at home, at work or up the top of a mountain! – have your conversation about mental health today. Open Briefing has long recognised the importance of supporting psychological wellbeing and resilience alongside physical security and cyber security. We understand that stress and trauma can have serious impacts on human rights defenders, humanitarian aid workers, environmental defenders and others working on the frontlines of civil society. The threat of violence, arrest or abduction and the impact of the things that happen to us or those around us can have serious consequences for our mental health and result in poor decision making in the field and degrade our ability to work effectively. 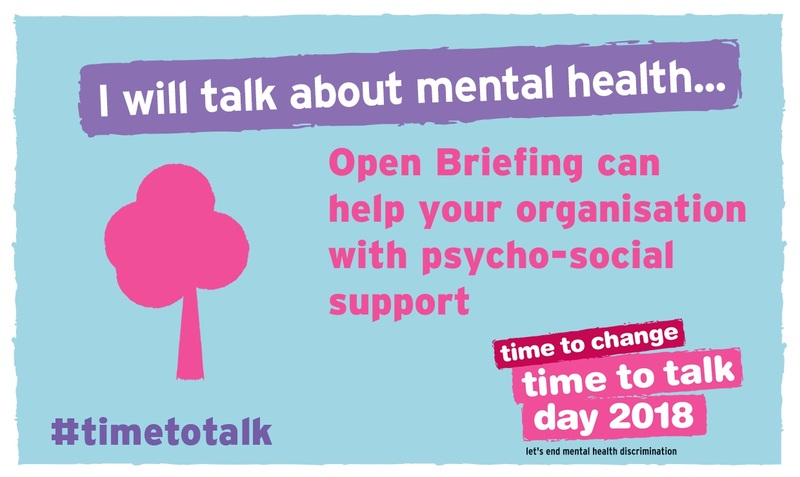 On Time to Talk Day, Open Briefing is launching a range of new mental health and psycho-social support (MHPSS) services as part of our mission to protect and strengthen civil society. This includes training in psychological first aid and advice on establishing peer support networks and writing family liaison and staff wellbeing policies, for example. This work is led by Karen Abbs. Karen joins us from InterHealth, where she was the global training manager. She has been a practising therapist specialising in trauma for 20 years, and has worked in the humanitarian and development sectors for the last decade. She was previously the mental health adviser to Médecins Sans Frontières and the Centre for Victims of Torture. As with physical security and cyber security, we don’t just talk the talk, we walk the walk. Open Briefing signed the Charter for Employers who are Positive about Mental Health in 2016. We also joined the UK government’s Disability Confident scheme in 2016, and in October 2017 we were certified a Disability Confident Employer. 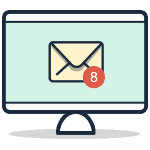 If Open Briefing can help you or your organisation, please contact us. Let’s talk about mental health on Time to Talk Day.